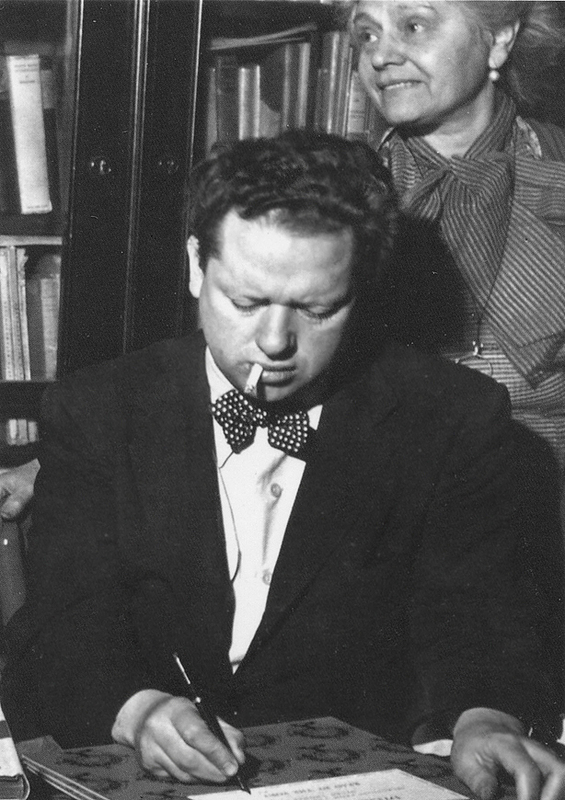 Poet Dylan Thomas will be forever associated with Wales. Well-known works like “Fern Hill” and “A Child’s Christmas in Wales” drew on the hummocky hills and moon-shaped bays of south Wales, and celebrated the offbeat characters who frequented its lively pubs. 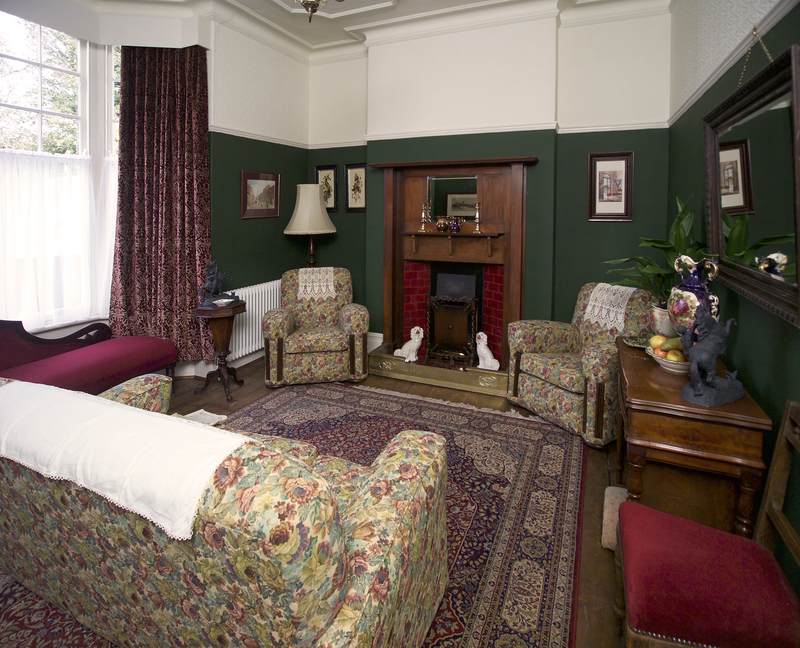 In Swansea, discover his birthplace at 5 Cwmdonkin Drive, favorite watering holes like the No Sign Wine Bar, and the Dylan Thomas Centre, hosting the annual Dylan Thomas Festival, October 27-November 9. In New Quay, see his favorite pub, The Black Lion, and homes he shared with his golden-haired muse, wife Caitlin Macnamara. In Laugharne, that “black magical bedlam by the sea” where Thomas spent the last four years of his life, take tea at the Dylan Thomas Boathouse, overlooking the opalescent-blue River Taf estuary, and visit the Writing Shed where he composed “Under Milk Wood.” Pay tribute to Thomas at his grave, marked by a simple white cross in St. Martin’s Churchyard, then toast his memory in Brown’s Hotel, where he spent many a day, sipping beer in a bay window and rubbing shoulders with local characters. Thomas’ reputation as a drinker and womanizer long overshadowed his standing as one of the greatest writers in the English language. But in 2014, to mark the poet’s 100th birthday, Wales staged the year-long Dylan Thomas 100 Festival, with scores of poetry readings, theater performances and walking tours in Wales as well as in London, and in New York, where, in 1953, shortly after a drinking binge at the White Horse Tavern, Thomas died at age 39. Starting in 2015, the Welsh government announced that May 14 will be known as “Dylan Day,” marking the day in 1953 that “Under Milk Wood” was first read onstage at The Poetry Center in New York. Also, in 2015, the prominent arts organization, Literature Wales, releases A Dylan Odyssey, featuring 15 Dylan Thomas trails across Wales, London, Oxford and New York. Hannah Ellis, granddaughter of Dylan Thomas and Honorary Patron of the Dylan Thomas 100 Festival, recently agreed to sit down and talk with me about Dylan Thomas and Wales. MB: Can you tell me a little about yourself, Hannah? Ellis: I was named after my grandmum, Dylan Thomas’ mother. She was Florence Hannah, and I was named Hannah Florence. I’m a primary-school teacher, and I have a little boy called Charlie. He’s four. I currently live in Hamptonshire. And I’ve recently moved from Oxford where I lived for 17 years. MB: How long did you live in Wales? Ellis: I actually grew up in London. But I spent every single holiday in Wales. My mum and dad were both Welsh, and I was brought up to be Welsh. MB: Your grandfather died 25 years before you were born. How did your family keep your grandfather’s memory alive? Ellis: It was mainly my mum, actually. My mum Aeronwy was a poet and a writer. And she, for years, traveled the world, and she used to read her father’s works. She felt it was incredibly important to continue to promote her father’s work. 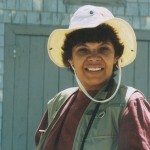 And she also wrote her memoirs, My Father’s Places, about her childhood in Laugharne. 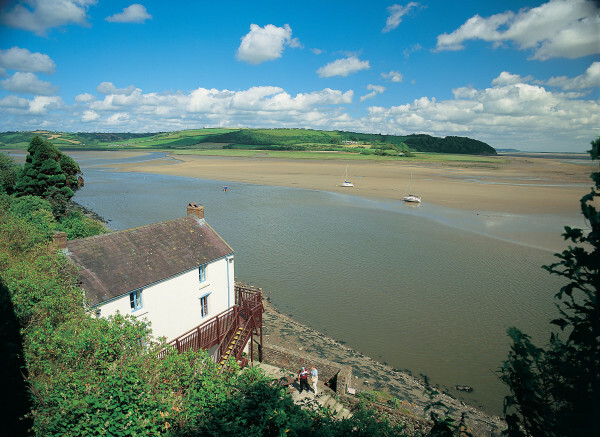 When mum died in 2009, she asked for her ashes to be scattered at the Boathouse in Laugharne, where she lived between the ages of 6 and 10. MB: Did your mother tell you any interesting Dylan Thomas stories? Ellis: I know one story I loved. She talked about being at the Boathouse and the rats there, and her father would jump on the table and scream, “Rawhhhhh!” and my mum and her grandmother would come and chase the rats away. And they used to have a weekly reading session, when he was around. They used to read The Wind in the Willows. Or “Hansel and Gretel” from Grimm’s Fairy Tales. And he acted out the role of the witch, and he had a very falsetto, very high, voice. When mum would be at the garden at the Boathouse, and she would put on plays, her father would come and sit in the back row. MB: So, you got the sense of your grandfather as very loving, very fatherly? Ellis: I got a sense of him from my mum but also from people I’ve met that knew my grandfather. Also there’s this wonderful book, Dylan Thomas Remembered. It was edited by David N. Thomas, and it’s interviews by Colin Edwards. There are two volumes. Some up to the age of 20. And then 20 until 39. And they show very, very, different sides. I don’t doubt that there were dark periods in my grandfather’s life. But when he was in Laugharne or in New Quay or in Swansea, he was a very different man. Much more content and happier. On that last tour of America, he didn’t have his wife, his mum. He didn’t have someone there to be his support system. My grandmother made sure he took his baths, child-like, because he was occupied with writing and she understood that. 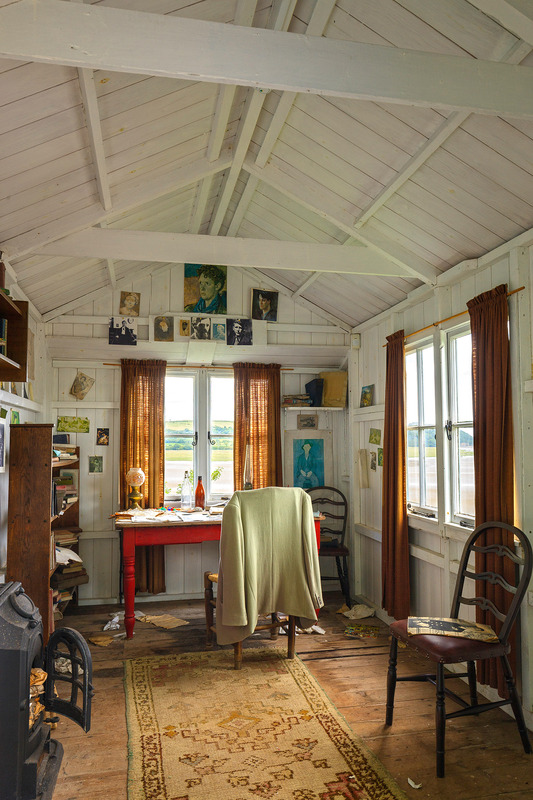 And even when they moved to Laugharne, there was his Writing Shed, which had been a garage. My grandmother insisted windows were put in so he could see the view out to the estuary. And then he could see across to Carmarthenshire, where “Fern Hill” was based and some of his short stories. The Carmarthenshire area was where all his childhood memories that he was so keen on were from. MB: What other places capture your grandfather’s spirit? Ellis: I’m going to show you an interesting picture. It’s of his Writing Shed. Can you see the ghost-like figure? We took that photo, and that’s what we got back. Somebody said to me that, in 1984, some friends were there and they took photos. And he said when those photos were developed, you wouldn’t believe what they saw. I said, “It wasn’t a figure sitting at the table, was it?” And he said, “yes.” So a few people have taken photos and seen it. They’ve seen his ghost. Or what might be his ghost. It’s strange, most strange. And, often in other places—Brown’s Hotel, the Black Lion, the White Horse Tavern—there’s always a sofa or something in a corner by a window, so he can look out a window and see the whole pub and write little notes. In the contrasting places, you see the views, hear the sea—it’s always by the sea—and see the countryside. Those two places inspired him most, one where he looked at the characters, the people, and then the views. MB: Do you have a favorite Dylan Thomas poem? Ellis: My favorite poem actually is called “The Force That Through the Green Fuse Drives the Flower,” and it’s very much about the effect of nature, the positive effects of new life and also the destruction of it. And the reason I relate to that is that my mum died in July 2009, [and] two weeks later, my son was born. MB: Did your mother have a favorite? 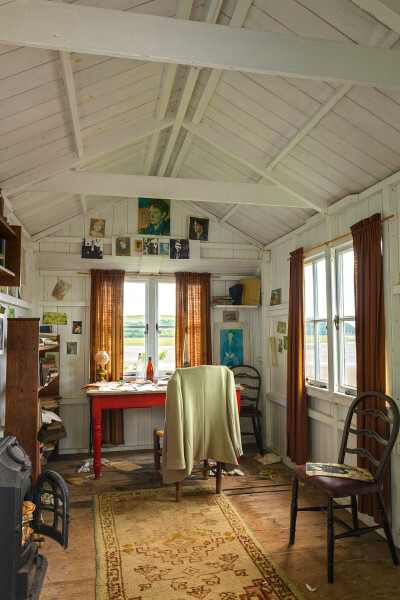 Dylan Thomas Boathouse overlooking the River Taf estuary Laugharne ©Crown copyright (2015) Visit Wales. MB: How do you keep Dylan Thomas’ memory alive for your son? Ellis: I’m certainly visiting all the places. I’m visiting Swansea. We stay at 5 Cwmdonkin Drive so he gets to stay right in my grandfather’s house. Or going to the Boathouse and Laugharne Castle so he can see where he worked. And Charlie’s then trying to discover dragons and trolls in the water in Laugharne. So I’m certainly using the places as an inspiration for his imagination, really. I’m using place as an inspiration like my grandfather did. MB: How does it feel to be in New York, where your grandfather died during his last lecture tour in 1953? Ellis: That was very surreal. To be next to St. Vincent’s Hospital, or what was St. Vincent’s Hospital, and to think that was where my grandfather died. Or where they had the Memorial Service—St. Luke’s Church. That was very surreal. To imagine the emotions. My mum was going to be without a father. His mother had lost that year her husband and her daughter. The same year. So that was quite emotional, seeing that. But it was also nice being in the White Horse Tavern again, just seeing the characters. There were a few there today. And I just thought: I know why he liked it here. 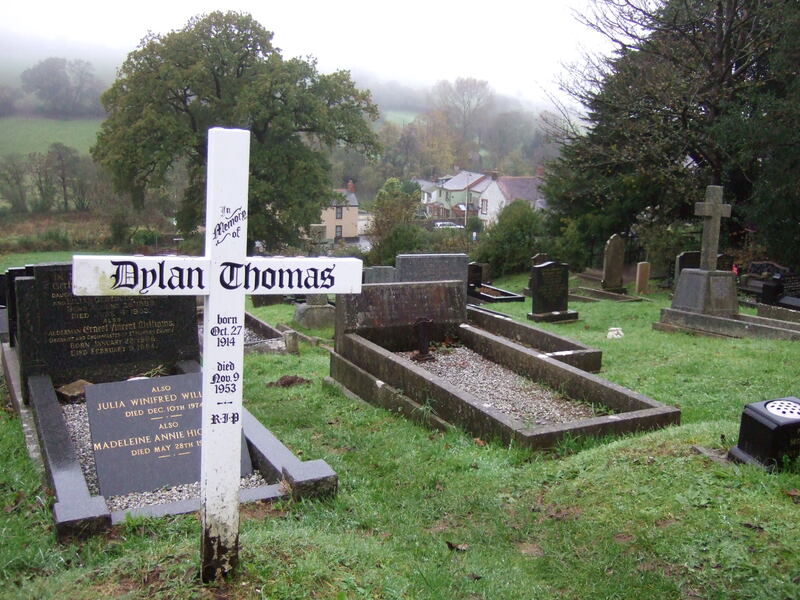 MB: It’s been more than 60 years since Dylan Thomas’ death. Do you think his poetry is still relevant today? Ellis: I do. The themes are themes that we all relate to. Like death and creativity and destruction The characters in “Under Milk Wood,” in the stories, we all know those characters. Those personalities are still there, and the places he describes are still there. So, everything in his work is still very relevant today. MB: There were uncomfortable aspects to Dylan Thomas’ personality. The drinking, the infidelities. How do you think it impacts his legacy? Ellis: I think it has impacted it, certainly. But I’m really hopeful the centenary [has brought] the focus back to the work. And made people look at the positive sides, look at how my grandfather wrote so much of his work before the age of 20. The way he just naturally played with words. How he managed to just use them to create something so beautiful. The way he encouraged people to listen to the words, listen to the work. The way he was a perfectionist in his writing. The way he was such a hard worker. 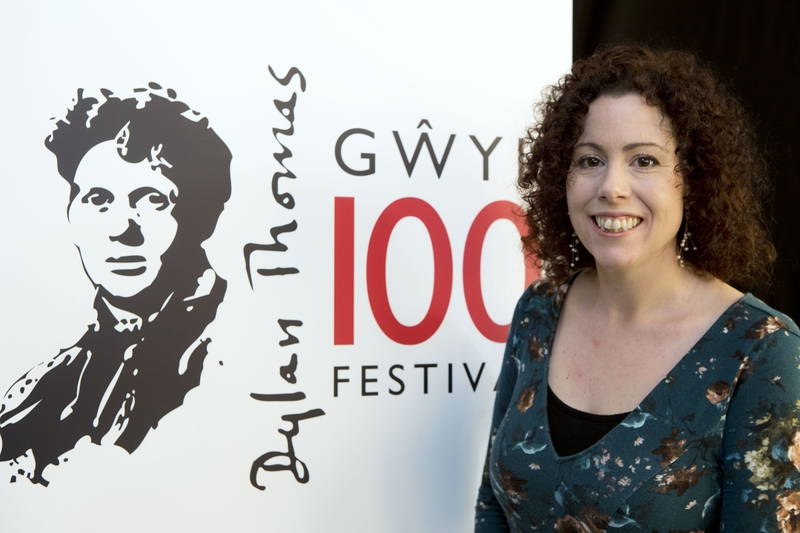 MB: What will be the legacy of the Dylan Thomas 100 Festival? Ellis: The centenary is a real opportunity. Because of everything that’s [been] created. All the digital stuff. Photographs. All this educational stuff. We’re going to have a bounty of stuff to start us off. And we mustn’t, mustn’t, just leave it at the centenary. It’s got to be a start. There were three key objectives. One was refreshing my grandfather’s work and revitalizing it, so people could come to discover the poet through art, through music, through productions. Another was education. Really get it into schools. Get that creativity going, that experimentation with words. And number three was to get people to discover places: Dylan’s Wales. Or Dylan’s London. Or Dylan’s America. All those places inspired Dylan Thomas. I think that is key—making people recognize Wales, realize where Wales is and how beautiful Wales is. Ellis: I’d love to do something with the Dylan Thomas Foundation where we could provide scholarships, provide support for early intervention with children and really promote the arts. That’s my dream. But I can’t do it on my own. Unless I can get a team behind me, it’s gonna be tough. I need a team.